Some of the most beautiful views of London are those from the many bridges which span the River Thames. Millions of people cross over the Thames every day but most are too concerned with reaching their destination to notice the structures they use, let alone consider their history or the risks taken in building them. Triumphs of architecture and engineering, London's bridges have inspired artists as diverse as Dickens and Monet. From the elegant Richmond Bridge to the Gothic, quintessentially British Tower Bridge, they have formed the backdrop to battles, rebellions, pageantry and mysteries for two millennia. 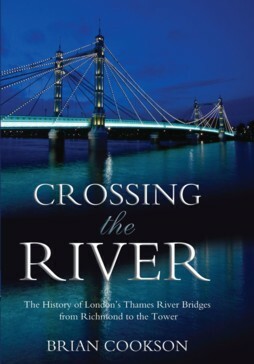 Crossing the River tells these stories, including the assassination of a dissident with a poisoned umbrella on Waterloo Bridge; the apparent suicide of God�s banker, an Italian financier with links to the Vatican, the Masons and the Mafia; and the Marchioness tragedy and its controversial aftermath. Featuring illustrations and photographs old and new, this book will undoubtedly increase the reader's knowledge and appreciation of the bridges and the people who built them, and thereby enhance the pleasure of seeing them, whether at leisure or stuck in a traffic jam.